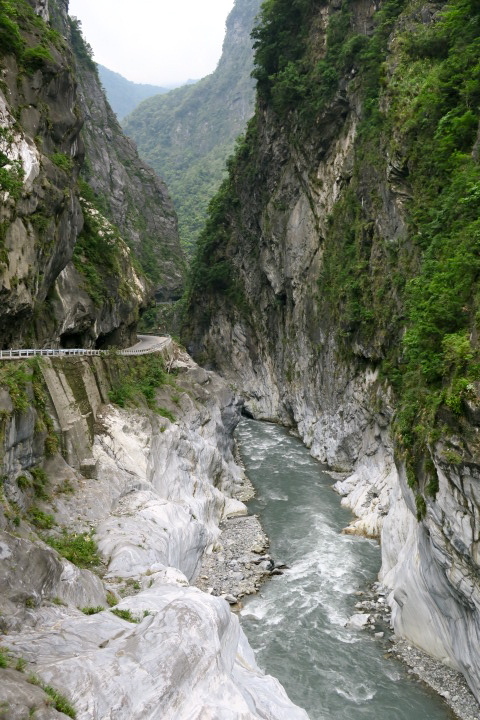 Our next destination was Taroko Gorge. 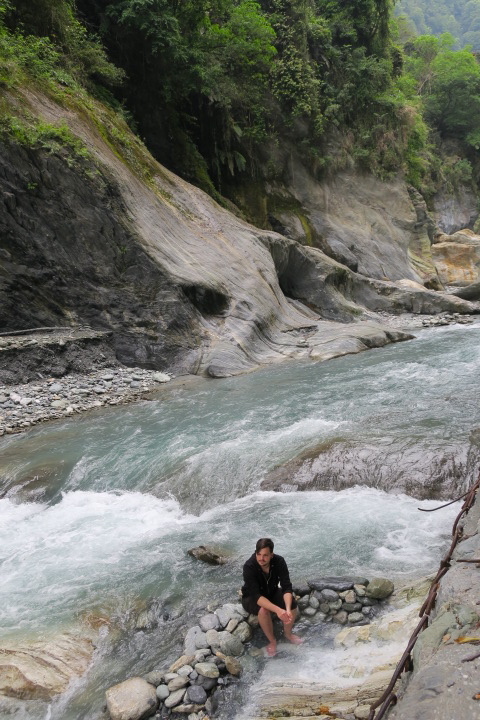 Since we were heading from Alishan, we were on the total opposite coast, with no easy way to cross through the mountainous middle. So we had a full day of train travel to ride up the west to Taipei, then back down the east. The train ride down the east had views of the ocean, so it wasn't a bad way to spend the day. We again opted for scooter transportation to explore the marble gorge. It was more difficult to rent scooters in Hualien. It's more of a tourist town, full of hostels and backpackers. My guess is people have been burned by tourists wrecking scooters. Preston's passport was held hostage, which increased my anxiety as a constant catastrophizer. The clear waters, smooth marble, and tall mountains were spectacular. We had been so lucky with everything on our trip that something bad had to happen. Good news-it wasn't the end of the world. Bad news-all my pictures from this day and the next got set to a lower resolution and small size. As you can probably guess, I was devastated. Preston was able to talk me down and remember that we were able to experience it, in real life, not through a photo, and that the pictures we have are still able to spark that memory. 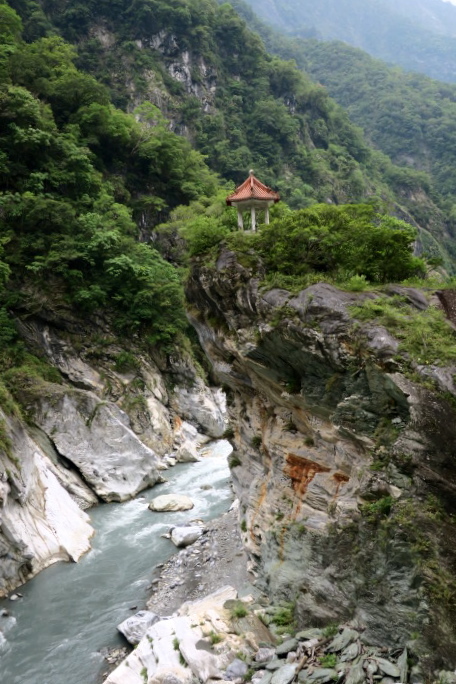 This was my favourite part of the Taroko Gorge. Frog Rock named from the shape resembling a sitting toad. The gazebo at the top of his head reminded me of a fairy princess castle. I love all the scarlet bridges against the green forest and bright, white marble. Down this path were hot springs piped from the mountain. Preston dipped his feet in.